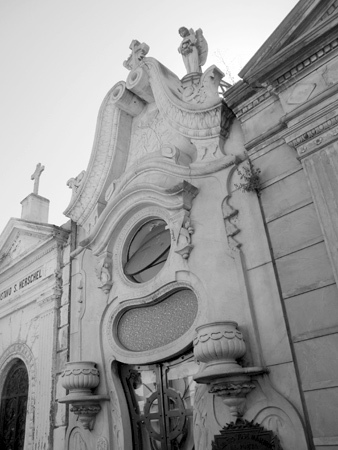 Although labeled as the Sepulcro Milano, one of the first great literary figures of Argentina is buried here—José Mármol. Born in 1818, Mármol became involved in politics at an early age. He didn’t complete his law degree due to fierce opposition & activism against the dictatorial style of Juan Manuel de Rosas. After being imprisoned for arguing with members of the Rosas family, Mármol decided to leave Buenos Aires. He met other anti-Rosas comrades in Montevideo & was inspired to write. When the forces of Rosas invaded Montevideo, Mármol moved even further away… this time to Rio de Janeiro. By the time Rosas was removed from Argentina, Mármol had been away from Buenos Aires for 13 years. From 1845 to 1868, he occupied several government positions. His last duty before going blind & passing away in 1871 was director of the National Library. 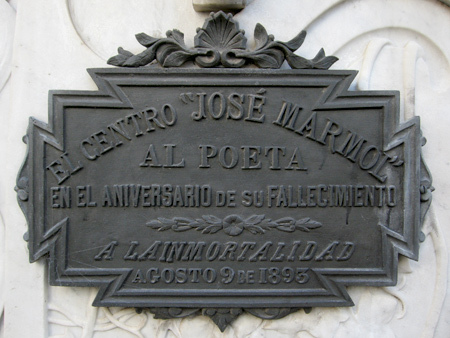 In spite of a life dedicated to serving his nation, José Mármol is most remembered for his first novel, Amália. Published in serial form beginning in 1844, the 75-chapter novel successfully mixed romance with current events so well that readers weren’t sure if they were reading fact or fiction. A quick plot summary: Eduardo Belgrano is wounded in an attempt to escape Buenos Aires & the rule of Rosas. A friend, Daniel, saves Eduardo’s life & gives him refuge in the house of his cousin… a young widow named Amália. Daniel & Amália pretend to support Rosas in order to keep Eduardo safe, & of course this gives time for Eduardo & Amália to fall in love. But as they try to flee Buenos Aires, both are killed by the right-hand man of Rosas. This classic is usually required reading in most Argentine schools, & Mármol’s entire body of work can be found online for free in the public domain. 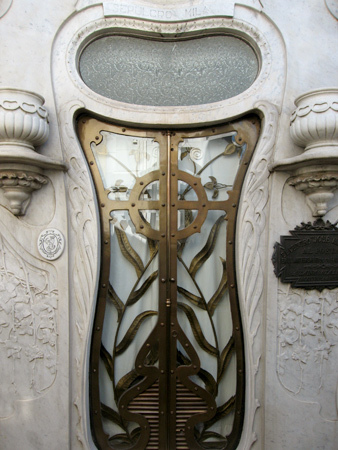 And an oval image of man being swallowed by a crowned “serpent” appears to be a loose interpretation of the Visconti coat-of-arms… surely because this mausoleum was used by Milanese descendants. But how did José Marmol end up here? 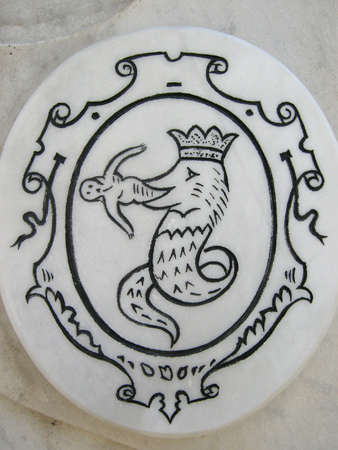 This image appears to be the coat of arms of the Visconti family from Milan (Milano), Lombardy in northern Italy. MSP – I wrote this post so long ago, I’d forgotten about this… I agree & will change the text accordingly. Thanks very much!